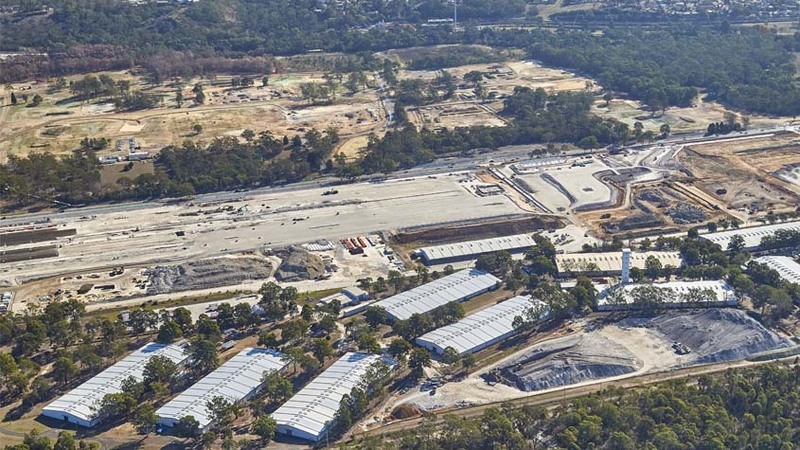 This stage of the Moorebank Intermodal Terminal project was awarded to Liberty as variation to the IMEX contract and was a strong signal from the client of our work to date. 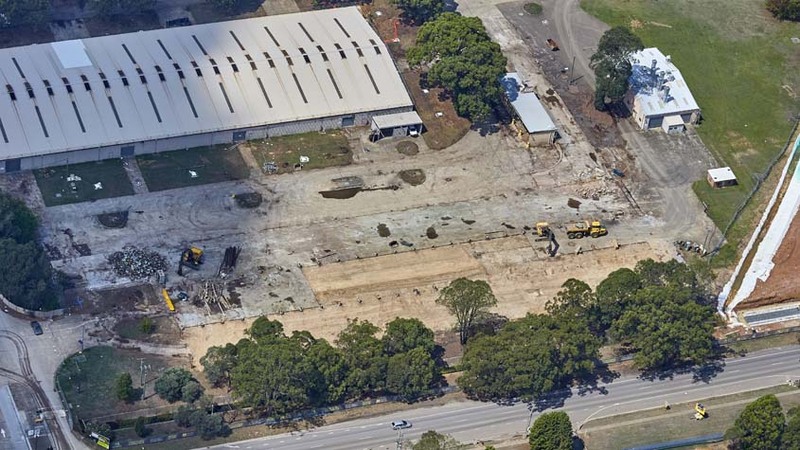 Stage 1 of the PEDR works required the removal of approximately 50,000m2 of warehouse in very strict time frames to allow access for builders to start a new 50,000m2 warehouse construction. The client placed very rigid program milestones on Liberty that required us to ramp up our work crews in order to execute the works across 4 separate fronts. The project involved the demolition of warehouses and infrastructure, and remediation of the site to enable subsequent development. Demolition of all above ground structures, including the onsite processing of all concrete hardstand and slabs. This included hazardous material removal from various buildings, including asbestos dust removal from twelve timber framed warehouses as well as decontamination and liquid waste disposal from the cleaning of chemical baths, tanks and pits. 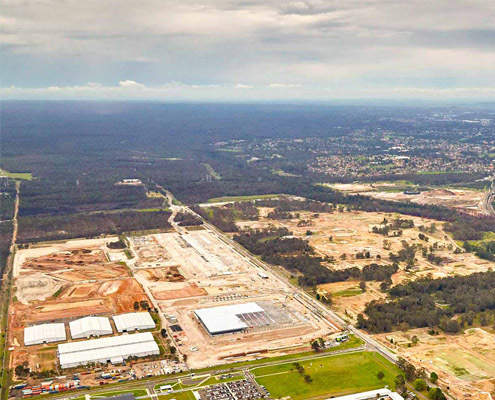 Liberty Industrial also carried out the disconnection of all services within the site boundary and the installation of over 1km of new water services and a HV overhead supply to existing tenants. Works also included the excavation and disposal of asbestos contaminated soil in excess of 28,000tonnes. In addition to the conventional demolition and remediation works Liberty was also responsible for both non-indigenous and indigenous Archaeological heritage works including salvage of a number of artefacts pre-dating WW2. Clearing and grubbing of large trees from across the site. 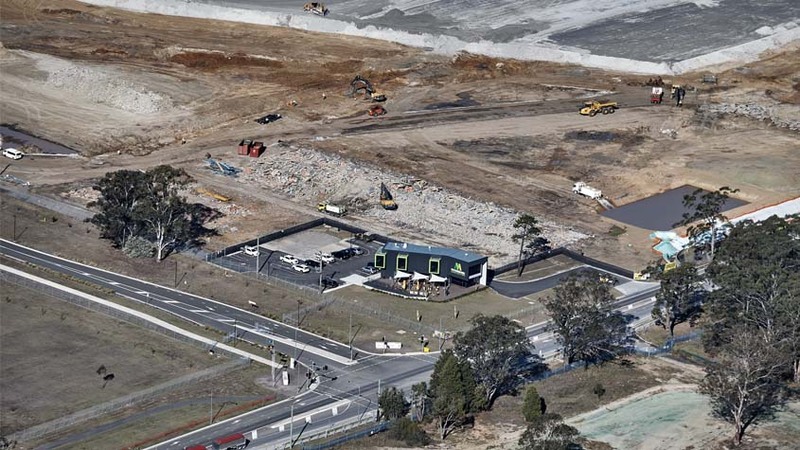 The total number of large trees removed, mulched and recycled exceeded 2,000 with over 8,000m3 of mulch recovered for re-processing at a compost facility. Liberty Industrial regularly interfaced and coordinated works according with the adjacent civil contractors requirements while maintaining productivity, program and upholding rapport with all stakeholders. Traffic management and logistics were especially critical to the works. 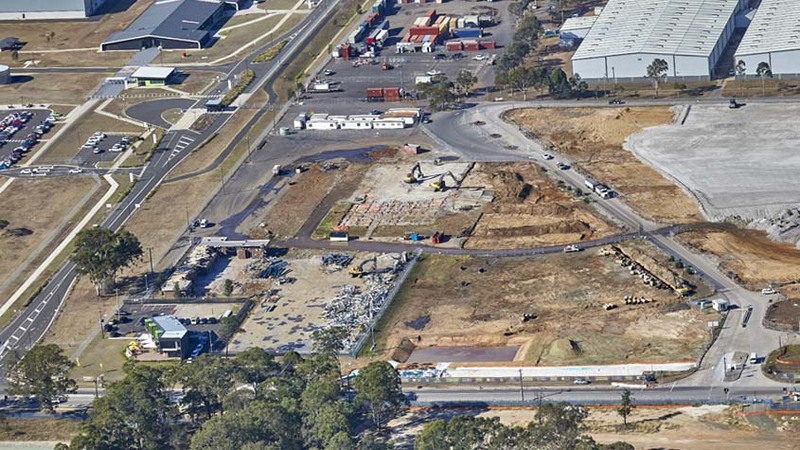 The civil contractor was required to import in excess of 250,000m3 of fill material utilising a shared internal network of roads that required constantly moving and adjusting as works progressed. During peak productivity the material import quantise were exceeding 400 T&D loads per day (approximately 13,000tonnes). During this phase Liberty was also responsible for removing our demolition waste and also removing 22,000tonnes of in-expected asbestos in soil finds. This logistical task was managed efficiently without a single near miss or incident involving moving plant. Liberty Industrial carried out the safe decommissioning and cleaning of 10 hazardous materials tanks prior to demolition works commencing. One of the most critical tasks was the testing and decanting of storage tanks that had previously held dangerous goods products, requiring specialised confined space and gas testing. The tanks were part of a former Military gun smith workshop and had been poorly decommissioned and labelled upon the workshop ceasing military operations. 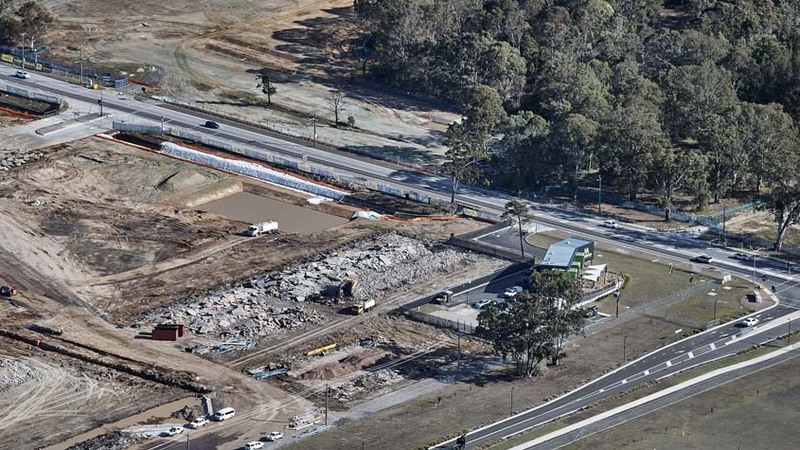 Liberty Industrial removed approximately 1,000 tonnes of steel for offsite recycling, 600tonnes of timber and 20,000 cubic metres of concrete material was demolished and stockpiled on site for crushing and reuse. Liberty was responsible for all concrete pulverising to remove residual re-enforcing prior to handover to the civil contractor to use as fill. One of the key challenges faced by Liberty was the extensive presence of asbestos sheeting in fill across the site. The asbestos extended over a large area as a result of previous poor practice during original construction and also when the sheeting was replaced in the early to late 90’s. After the impact this had on the IMEX phase of the work (un-expected) in regards to program and given the very tight time frames imposed on the PEDR phase Liberty (in consultation with the client and their third party appointed Environmental Consultant) developed an alternate strategy to mitigate these program risks. 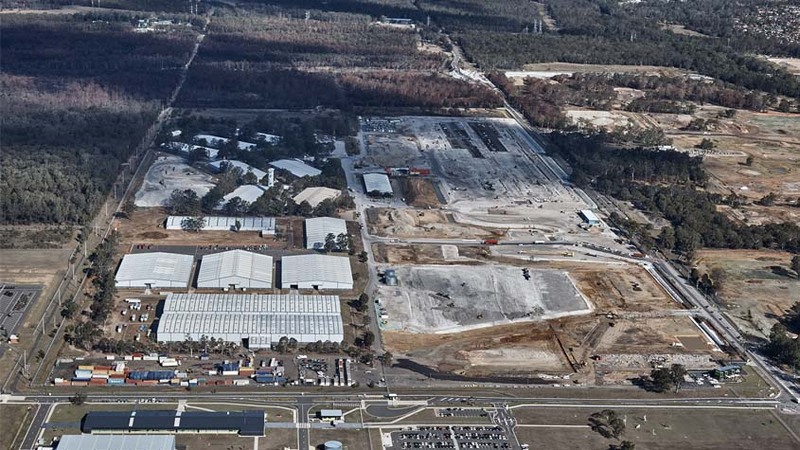 Prior to the commencement approval being granted Liberty undertook an extensive program of test pitting and investigation across the site to develop a priority map of the high risk areas. In conjunction with this Liberty also undertook the pre-classification of these soils such that the appropriate disposal approvals could be obtained prior to the soil being excavated. As the demolition works progressed a specialised crew dedicated to the clearance of these asbestos soils ahead of the demolition work crews was deployed. This work was completed under the close supervision of a third party hygienist and with plant operators and spotters highly experienced and trained in the identification of asbestos in soil. 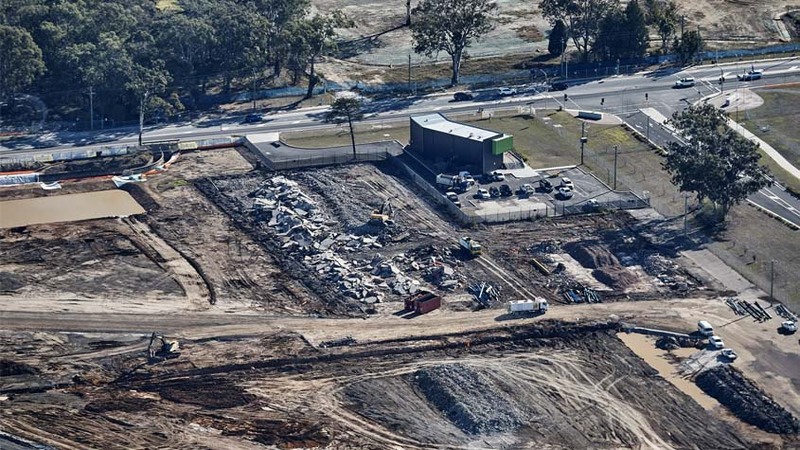 The work was completed successfully and within program with the added advantage of ensuring that asbestos impacted material ended up in the concrete slab material that was to be recycled and re-used on site. On stage 1 of the PEDR works Liberty successfully completed the demolition and removal of 50,000m3 of warehouse and slabs, another 30,000m2 of existing road and hardstand infrastructure, the excavation and removal of 28,000tonnes of asbestos impacted soils and the removal and re-instatement of over 1km of underground stormwater infrastructure in a 8 week period that was 1 week ahead of the original program set by the client.